There are just six weeks until the brand new Garden Tisno site hosts its opening two events of the season in early July. 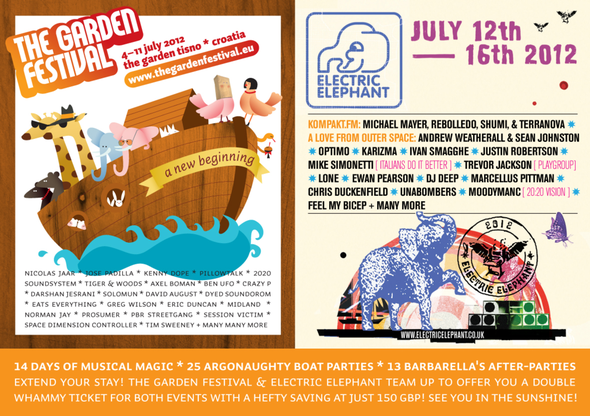 Working together as a whole, this summer’s Garden Festival and Electric Elephant, whilst standalone events, also offer the unique Double Whammy package. With both festivals taking place concurrently, for anyone looking to up their dosage of sun-kissed partying on the sizzling Adriatic coastline there is now twice as much action to enjoy in a truly stunning coastal location. Indicative of this unity, with record sales of double whammy passes already achieved, a new and very special guest has just been announced, playing in the brand new Barbarellas Discotheque, handing over from The Garden Festival into Electric Elephant. 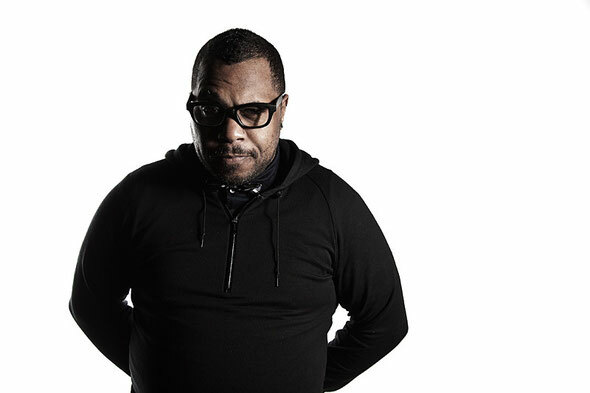 Derrick Carter is widely acknowledged as one of the best DJs in the world. With innovative productions, flawless technical skills and an effortlessly joyful attitude of rocking a crowd, his influence has infiltrated throughout the spectrum of dance music. 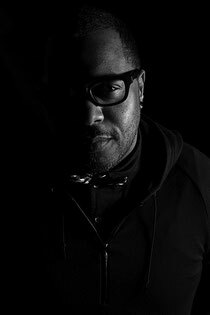 Derrick's sets are rooted in house, but he freely travels outside conformative club tastes, seamlessly incorporating old-school disco, soul, jazz, and whatever else catches his fancy to jack the beat and rock the party. And after bringing Electric Elephant to a close in 2011 with an almighty Disco Bang, playing for three hours under the stars, Electric Elephant and The Garden Festival welcome him back for more of the same. Derrick will be playing at the brand new Barbarellas, one of the most exciting new elements of The Garden Tisno, on Wednesday 11th July. For everyone with fond memories of partying in Petrcane's old air-con venue, this offers something totally different; the new club is fully outdoors to dance the night away under the stars until dawn, with lots of fresh sea air, canopies of trees and be fully at one with nature. There's Funktion One sound, two large bars for drinks and cocktails and the capcity is now a huge 1500. 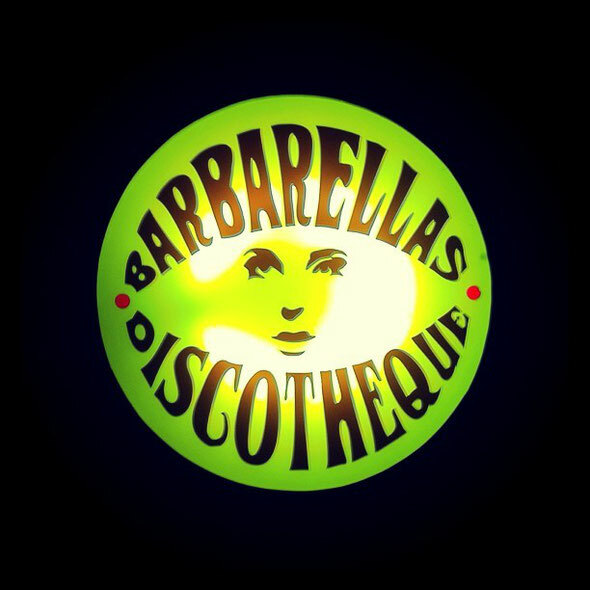 This was an important factor in choosing their new location, with the new club site giving many more people the chance to experience Barbarellas Discotheque in full flow. As well as coach tranfers, it's just a short taxi ride away from the main festival site and the club is also accessible by water taxi too. For full lineup and up to date info, check out www.thegardenfestival.eu.